Ignite, a program of Thames River Innovation Place, fosters educational initiatives and community outreach to promote talent cultivation, job creation and economic growth in the region. 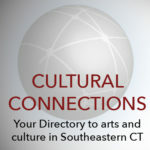 Partnering with CURE Innovation Commons (Groton) and Spark Makerspace (New London), Ignite stimulates creativity, entrepreneurship, connectivity and innovation. New London Main Street committed to revitalizing New London's Historic Waterfront District. Our goal is to build community through activities and programs that enrich the cultural fabric, preserve and enhance historic streetscapes and support and expand the economic base of the city center. We work across southern New England, from Greenwich, CT to Charlestown, RI, on issues of historic preservation, environment, infrastructure and development. 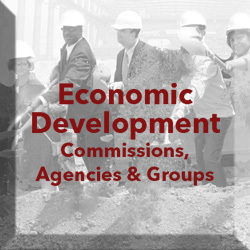 seCTer is the full-service regional Economic Development Agency for the southeastern Connecticut Economic Development District, including eighteen municipalities in New London County and the Town of Windham. seCTer offers a variety of services and resources to stimulate and support economic development within the region. Thames Valley Sustainable Connections, Inc.
TVSC, through partnerships and collaborative projects, will enhance the environmental, business, and social climate in Greater New London through advocacy and promotion of proven programs that foster sustainable, socially equitable, and economically sound policies.